Daniel P. Aldrich is professor of political science and public policy and co-director of Northeastern University’s Security and Resilience Studies Program. After the Fukushima nuclear disaster on March 11, 2011, many believed that Japan would use the incident to rethink its energy plans, particularly nuclear energy policies. For more than four decades Japan has sought to create one of the world’s most advanced commercial nuclear industries, complete with fuel recycling and mixed oxide fuel use. Yet, since retaking power in 2012, the ruling Liberal Democratic Party (LDP) remains strongly committed to nuclear power after the nuclear meltdowns. Why has Japan stayed the course while other nations have abandoned nuclear power? The LDP’s energy policy released in June last year called for nuclear power to supply about 20 percent of Japan’s electricity by 2030, and Minister of Economy, Trade, and Industry Motoo Hayashi confirmed that Japan will continue with its closed fuel cycle policy based on reprocessing. Prior to Fukushima, about 30 percent of Japan’s electricity was generated by nuclear power, and Japan’s 2010 Basic Energy Plan called for nuclear power’s share to increase to 50 percent by 2030. To accomplish this modernization, Japan pursued a closed nuclear fuel cycle, including fast breeder reactors (FBRs), mixed oxide fuel (MOX), and spent fuel reprocessing. It also created large subsidies for rural communities willing to host the plants. Today, except for the downsizing of the relative share of nuclear in Japan’s overall energy mix, little has changed in government thinking about Japan’s nuclear program since the 3/11 disaster. Japan’s policy continuity in the field of nuclear energy stands in contrast to other countries. For example, Germany and Switzerland both decided to phase out nuclear power after Fukushima, despite having relatively high dependence on nuclear energy. Well before Fukushima, France dropped its Superphenix FBR program, and the United States stopped fast reactor and fuel reprocessing development efforts due to technical challenges, high costs, and concerns about safety. Despite suffering the second worst commercial nuclear accident in history, only behind Chernobyl, Tokyo policymakers are working hard to keep Japan’s nuclear sector on track. Three factors keep the Japanese administration intent on restarting nuclear power: a media which fails to function as a watchdog, strong pressure from the nuclear industry and the business community, and a lack of sustained opposition from civil society and elected officials. Where media organizations in Europe covered nuclear accidents like Chernobyl and Fukushima and pushed their decision makers to think through potential accidents at home, Japanese news agencies rarely questioned their country’s ability to prevent accidents. Instead, leading newspapers beginning in the 1950s advocated for nuclear power and ran op-eds written by pro-nuclear officials as news stories. Post-Fukushima, only anti-nuclear groups such as the Citizens’ Nuclear Information Center (CNIC) and occasional op-eds in the Asahi and Yomiuri Shimbun pushed Tokyo Electric Power Company (TEPCO) and the Japanese government to explain Fukushima’s failure. Furthermore, the media did not question the government on the slow release of critical information about radioactive contamination in the days and weeks after 3/11. For example, only after foreign media called the Fukushima disaster a fuel meltdown did Japanese newspapers acknowledge a fuel meltdown at Fukushima. Few in Japan’s media saw their role as countering the state’s longstanding position on nuclear safety. Next, Japan’s businesses see the restart of nuclear power plants as critical to their competitiveness and to Japan’s economic success. The Nihon Keizai Shimbun regularly published polls where companies threatened to relocate overseas if cheap and uninterrupted power was not guaranteed. Keidanren, the Japan Business Federation, has openly argued that “...the process for restarting nuclear power plants must thus be accelerated to the maximum extent possible…” and that the “...establishment of a [closed] nuclear fuel cycle is essential.” Abe’s cabinet has similarly supported nuclear power because of claims that it is stable and cost effective. In contrast, German businesses did little to push back against the government’s Energiewende (energy transition) away from nuclear power, and U.S. businesses have kept a low profile on the issue of energy. Finally, the public has yet again voted the LDP into office despite public opinion polls consistently showing that the Japanese public opposes continued use of nuclear power. The LDP handily won in national elections to gain control of both Houses of the Japanese Diet. Shinzo Abe’s party remains a staunch advocate of civilian nuclear power, pushing for reactor restarts and closed fuel cycle development. His government’s coalition partner, Komeito, contrary to campaign pledges to seek “zero nuclear power,” dampened its rhetoric once back in office, and in subsequent elections, voters have not punished the LDP or the Komeito for their energy policy stance. The most visible critics of the government’s nuclear power policies came from outside established political parties. Retired former prime ministers such as Junichiro Koizumi and Morihiro Hosokawa have tried to rally anti-nuclear sentiment, but have not been able to move the debate on energy. Moreover, opposition parties have failed to weaken the LDP’s grip on power regardless of their stance on nuclear power. The only political party that has regularly and openly criticized Japan’s nuclear power program – the Japanese Communist Party –has little chance of winning general elections. Residents of municipalities close to nuclear power plants have filed class action lawsuits to move the needle on the nuclear issue, but the response of Japan’s courts has been mixed. The Otsu District Court, for example, shut down Takahama reactors 3 and 4 in early March 2016 citing insufficient information on the government’s safety precautions in the wake of the Fukushima meltdowns. 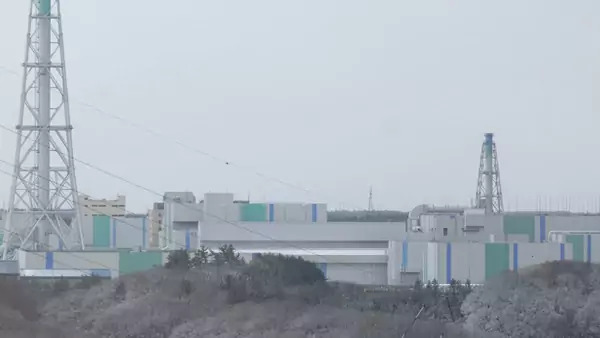 This follows the earlier Fukui Court injunction in April 2015 that briefly prevented Kansai Electric Power Company from restarting the units, arguing that the new safety regulations were inadequate. Not all courts have been sympathetic to antinuclear activists, however. In early April 2016, the Fukuoka High Court rejected a lawsuit that would have suspended operation of the Sendai plants, and the Fukui court later lifted its own injunction. These mixed rulings from the regional courts reveal how divided Japan remains on the nuclear issue. Strong and rising support for Prime Minister Abe suggests little incentive for the current government to revisit Japan’s energy choices. This summer’s elections may yet again prove that voters continue to prioritize other issues, especially the economy, over nuclear energy at the ballot box. The government may have cooled some opposition by creating a new nuclear regulator, the Nuclear Regulation Authority (NRA), which has carried out thorough restart inspections and has exercised discretion over the licensing of reactors. Meanwhile, cleanup and decontamination of Fukushima continues. Restoring Japan’s nuclear power capacity will take several years, perhaps even decades, giving the government and civil society time to debate and explore other energy policy options. Regular polls since the disaster show that the majority of Japanese oppose nuclear restarts and sympathetic court rulings indicate that some judges are siding with the populace. The Japanese government and media should explore the public’s anti-nuclear sentiment more fully as it considers its nuclear future. The environmental and social costs of the Fukushima meltdowns, an event which displaced tens of thousands from towns like Futaba and Tomioka and affected the livelihoods and mental health of many more, suggest the need for altering Japan’s basic energy approach. Looking solely at the management of Japan’s nuclear reactors, continued attention to public concerns is needed. In towns and villages that host nuclear reactors, residents’ opposition might decrease if they were given an actual voice during the restart processes, rather than merely a pro forma chance to write down their concerns. Additionally, the government must consider a more practical fuel cycle policy if it is to ease concerns within Japan as well as abroad. This would involve pausing attempts at reprocessing and speeding up the deployment of dry cask storage for spent nuclear fuel, either at reactor sites or in consolidated facilities, to reduce proliferation and terrorism risks. Traumatic events like Fukushima provide policy makers with the chance to reexamine fundamentally choices made far in the past, and we can only hope that Japan’s policymakers will take full advantage of this moment.